Progressive automation in the food industry has long been a part of small and medium-sized breweries. Filling, cleaning and packaging processes are already largely automated processes; nowadays also sensitive processes are increasingly automated in breweries. Hereby, lautering, as any master brewer will confi rm, is a particular challenge as the quality of the beer is signifi cantly aff ected in this process. Several factors, such as lautering speed, time of raking and wort turbidity must be optimally coordinated. A good parameter for the control of the lautering is the diff erential pressure between the false bottom and the wort level. This is caused by the hop pulp becoming denser during lautering. Diff erential pressure measurement for controlling lautering. Following mashing in, the mash is pumped into the lauter tun. Here, the wort is separated from the malt solids, the so-called hop pulp. Through the separation of the hop pulp, and after suffi cient lautering time, a fi lter cake develops and the wort can be removed through the perforated false bottom. Due to the separation of the wort, the eff ective cross-section of the capillaries changes and thus also the permeability of the fi lter layer. In addition, depending on pump capacity, the hop pulp is sucked on to the outlet slits. To ensure an even fl ow, the hop pulp cake must be cut open in due time with the adjustable raking machine. On the one hand, the correct point in time for this can be determined from the fl ow speed of the wort, and on the other hand it should additionally be ascertained by the identifi cation of the diff erential pressure occurring between the wort level and the false bottom. As a standard, for this type of application, the NEGELE level switch Type LAR-361 is used. 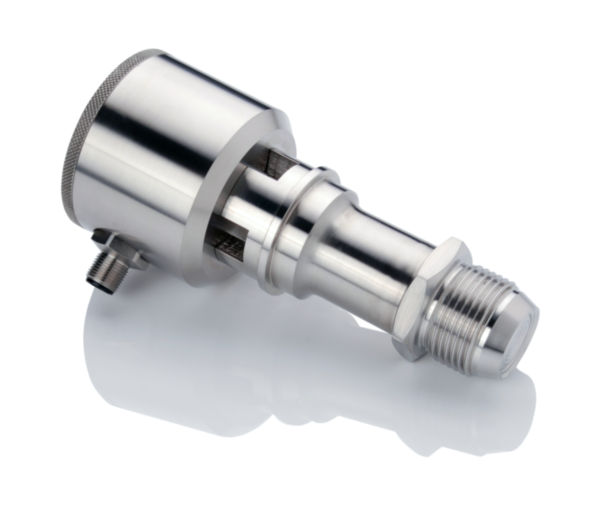 With its highly accurate, piezo-resistant measuring principle and the hermetically sealed measuring cell, it is ideally suited for measurement applications where accuracy and temperature stability are required. 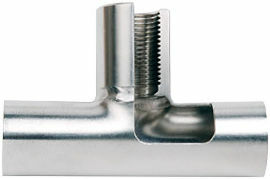 The sensors are installed via weld-in sleeves from the well-proven CLEANadapt build-in system. One measuring point is placed directly beneath the false bottom; additionally, a second point is placed at the side of the lauter tun, ensuring that this measuring point measures above the hop pulp level. With these measurements, the lautering speed, the raking machine and the refi lls can be controlled fully automatically. 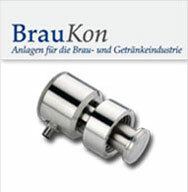 For this application, the company BrauKon has developed a special and effi cient Fuzzi programming. Internally, the pressure sensor uses a piezo-electrical signal convert, which converts the mechanical process pressure into a proportional voltage signal. This is then converted into a 4 ... 20 mA standard signal. The unique design of the hermetically welded pipe and the external compensating membrane (double-membrane principle) guarantees a reliable operation even in harsh ambient conditions. 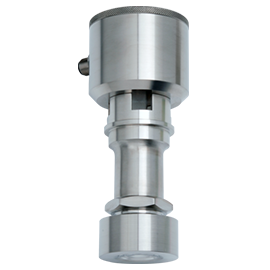 With the aid of the temperature sensors at the process and reference cells even strong variations in temperature are compensated and do no impact on the measuring result.